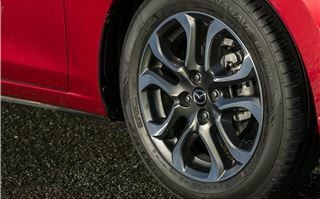 According to Mazda, the oldest car in its range by the end of 2015 will be the Mazda3, launched in 2014. So it’s safe to say the Japanese company has been rather busy. Its latest model – the Fiesta-rivalling Mazda2 - is arguably the most important, since it faces competition from scores of similar small hatchbacks. 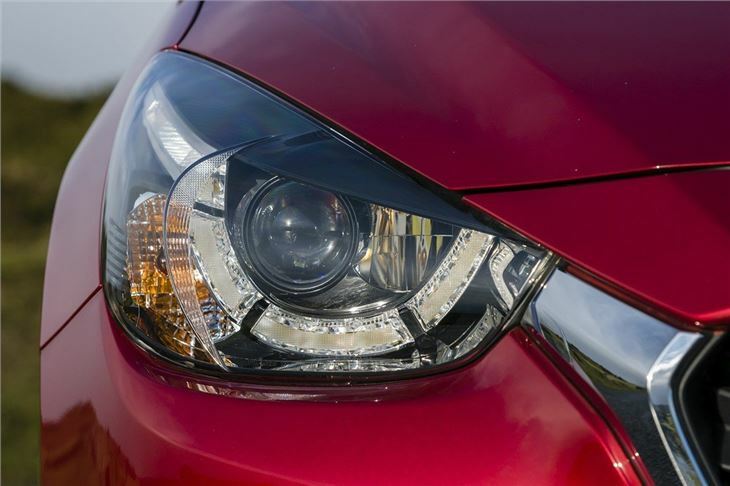 It seems to have what it takes to compete when it comes to looks. 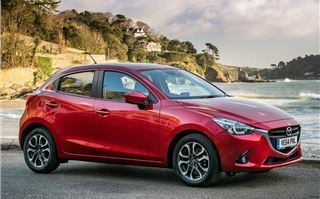 The classy front is reminiscent of the larger Mazda6 and CX-5 models, plus there are attractively sculpted wings and aggressively angular tail lights. It certainly stands out, especially if you pick an optional styling kit, complete with a spoiler and side skirts. It’s not all about looks though – little cars need to be cheap to run and on that front, Mazda has introduced a new diesel engine. 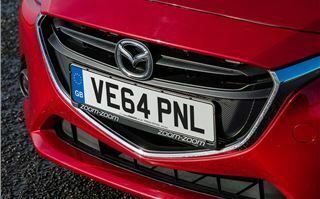 It’s a 1.5-litre with emissions of 88g/km and official economy of 83.1mpg – so it’s free to tax and cheap at the pumps, plus it has a decent amount of grunt thanks to peak torque of 220Nm and a power output of 105PS. 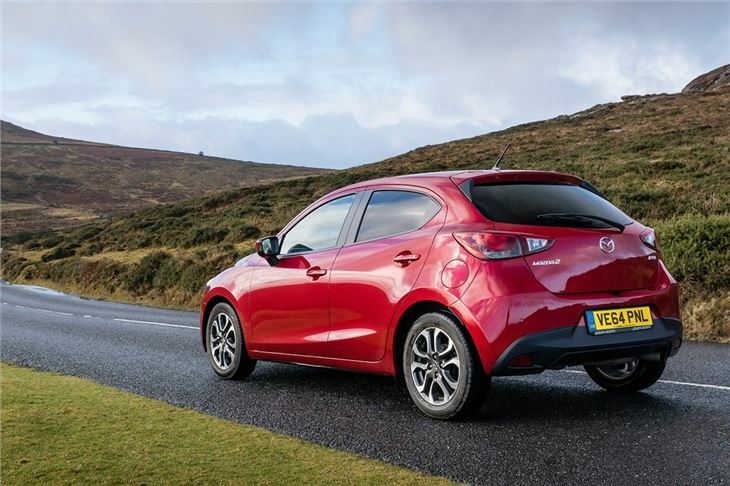 It suits the little Mazda2 really well, picking up nicely from low revs with enough performance to overtake or get away from a set of traffic lights quickly. 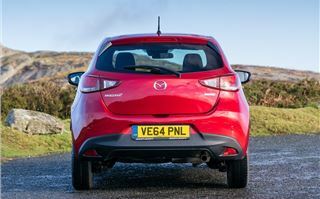 Thanks to impressive refinment the little Mazda2 has a grown-up, relaxed personality when cruising along at motorway pace, which it does happily with some power in reserve for passing slow moving traffic. Good though it is on the motorway, find a B-road and it gets even better still. 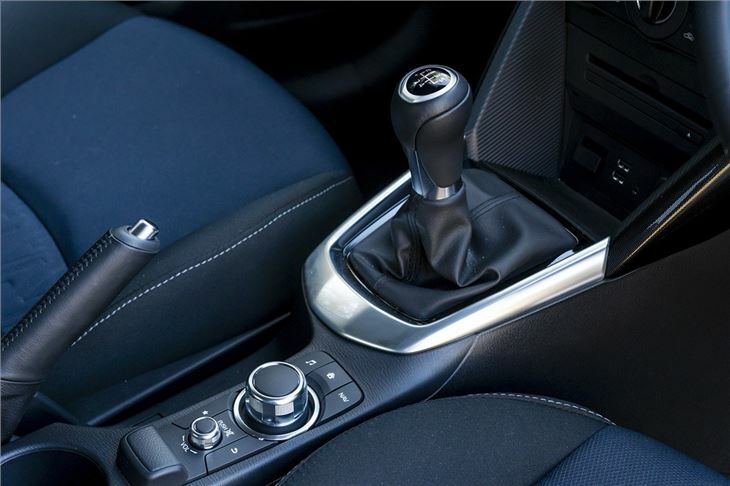 The steering might be light but it is accurate, quick and precise, while the manual transmission is wonderfully slick and enjoyable, plus the suspension offers a great compromise between comfort and body control. It feels poised, balanced and composed, working wonderfully on undulating, twisting countryside routes. 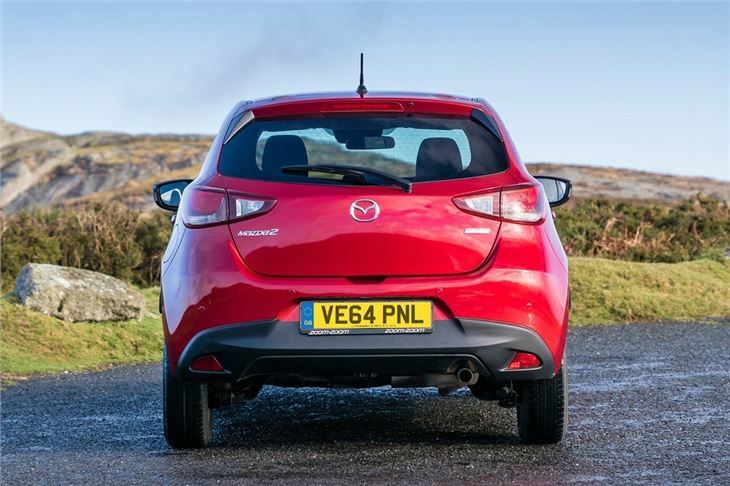 The diesel engine does nothing to dull the Mazda’s agility and, if anything, the extra torque makes it the best engine choice in the range for rural roads. 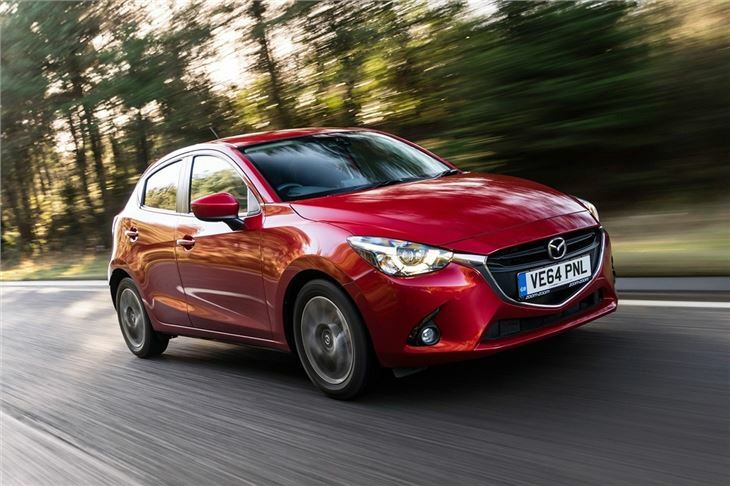 It’s a very rewarding car to drive – certainly up there with the Ford Fiesta, which is usually regarded as the benchmark in this class when it comes to fun driving dynamics. In the cabin there are supportive seats and some nice material choices. But while there are some pleasing touches like stylish vents and a soft, leather style dashboard finisher, there are also some unimpressive scratchy plastics around the handbrake, on the top of the dashboard and on the doors. These really let the car down compared to something like a Volkswagen Polo. Even so it’s still an attractive cabin. 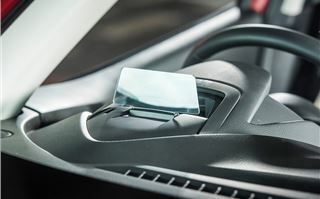 Plus it comes with some clever technology including lane departure warning, rear cross traffic alert (which helps you back out of spaces without crashing) and a head-up display, something more typically seen on larger cars. 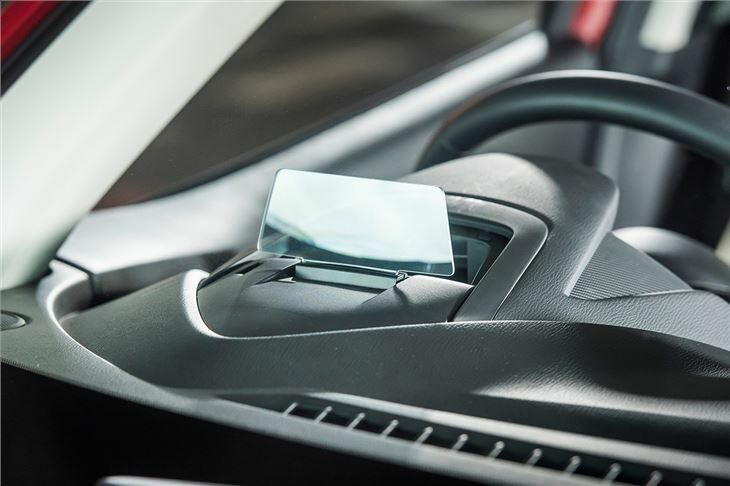 There’s also a large touchscreen infotainment screen that looks good and works well. 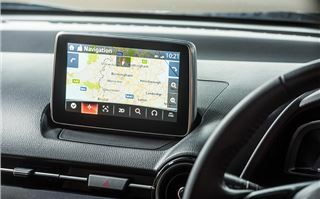 It includes the features buyers have come to expect of touchscreen systems on larger cars, including phone connectivity, an impressive navigation system and DAB radio. 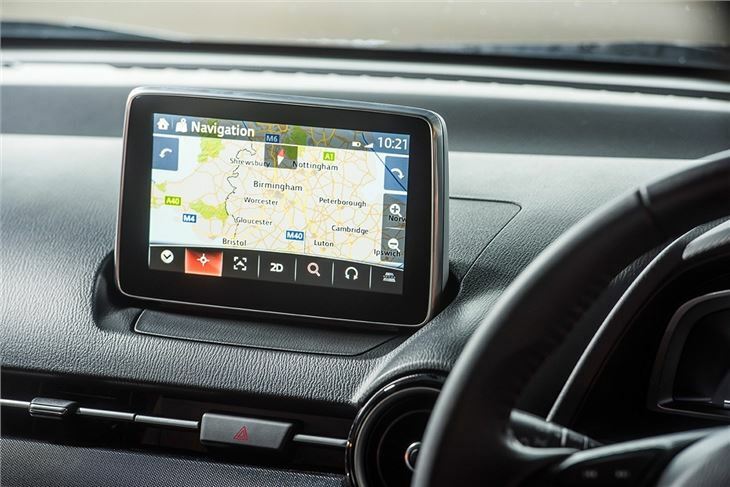 The system is very user-friendly – you operate it via touchscreen when stationary or via an intuitive rotary dial when on the move - something that becomes second nature very quickly. 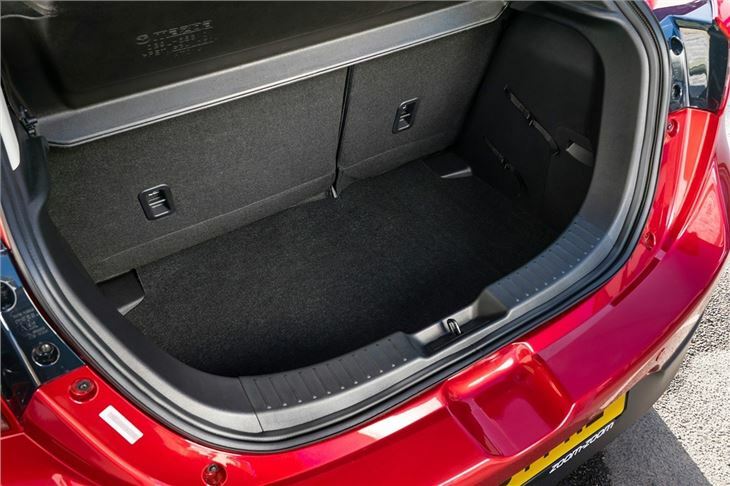 Practicality is good, with acceptable if not remarkable levels of rear head and legroom. 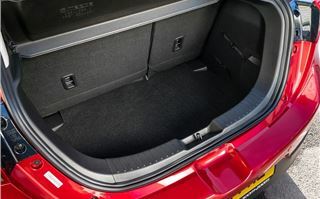 The boot is a sensible size and shape, with 280 litres of load capacity, but it does have a fairly high load lip and the seats don’t fold completely flat, which will make bulky, heavy items tricky to load and unload. That said, a perfect load area is rare in cars this size. 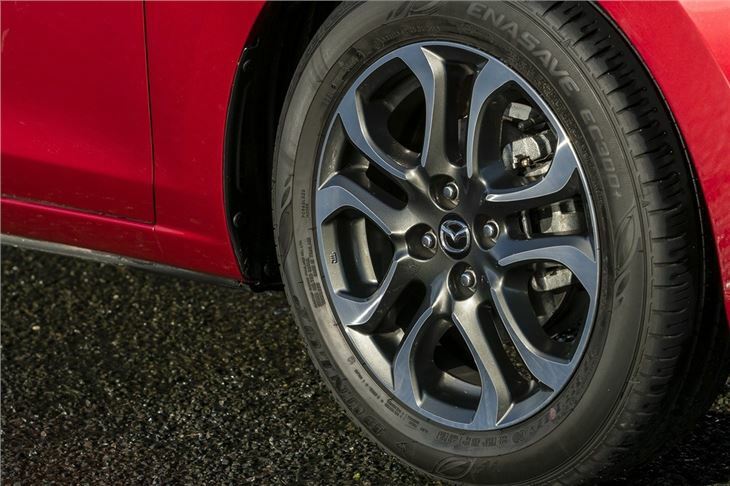 All in all the Mazda2 is a great package – especially in diesel form. But there is a major problem with the diesel and that is the price. The cheapest variant, in SE-L trim, costs £15,995 - £2000 more than the perfectly capable 90PS petrol in the same trim level. 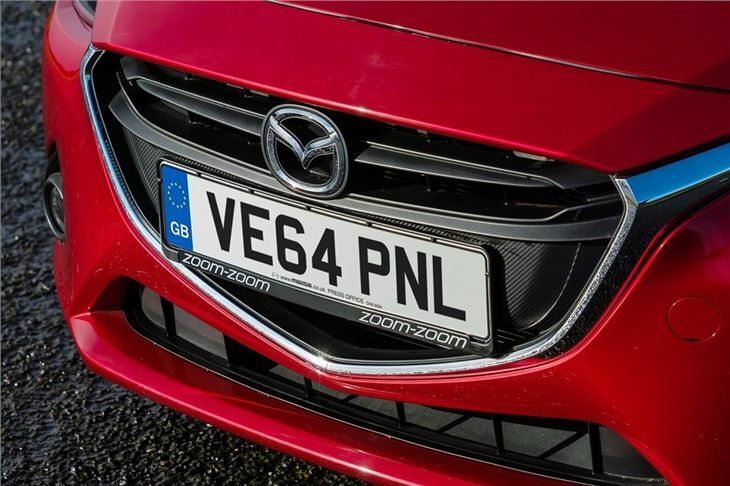 The 90PS engine does miss out on free annual VED, but only just – meaning it’s £20 a year to tax. That means, despite the free annual VED and better economy, the diesel is more or less irrelevant for most buyers - it's just too expensive. 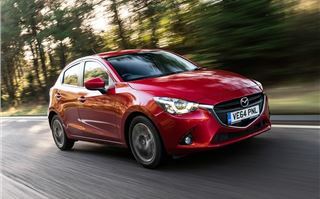 Mazda knows this though, so sales figures aren’t expected to be huge. 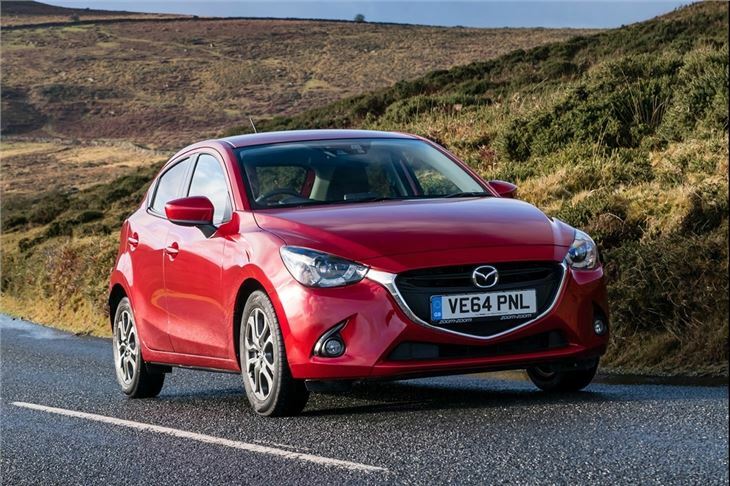 There is still appeal here for a select few though - and if your small, fun hatchback absolutely has to be a diesel then you can’t get much better than this.